My family and I have a new obsession....Myx Creative Kitchen in Greenwich, Ct. I recently attended a press dinner there, where I sampled many things from the menu and have returned almost everyday since. And I have to say, so have most of the bloggers that were there that night with me...it is THAT good or as Myx says..."food that you can feel good about"!!!! From salads (the Mykonos is my favorite) to flatbread pizzas (all gluten free) to protein bites (love the peanut butter chocolate ones) and the daily homemade soups (I had tomato today) you really must try it. The breakfast menu sounds amazing..that is next on my list...oh and did I mention that even though they are right off Greenwich Ave, they have their own parking in the back, so stopping by is a no brainer!!!! 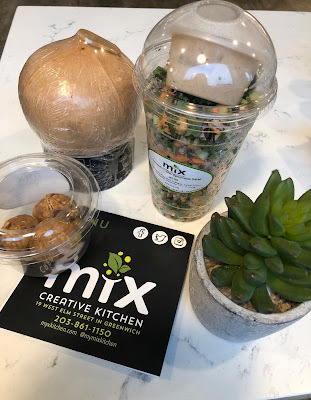 The salad shakers with the goddess dressing is soo good..here are the protein bites and yummy coconut water in the actual coconut shell!!! They have a guilt free banana frozen dessert...we all LOVED it..its very similar to the one that Gwyneth features in her book!!! 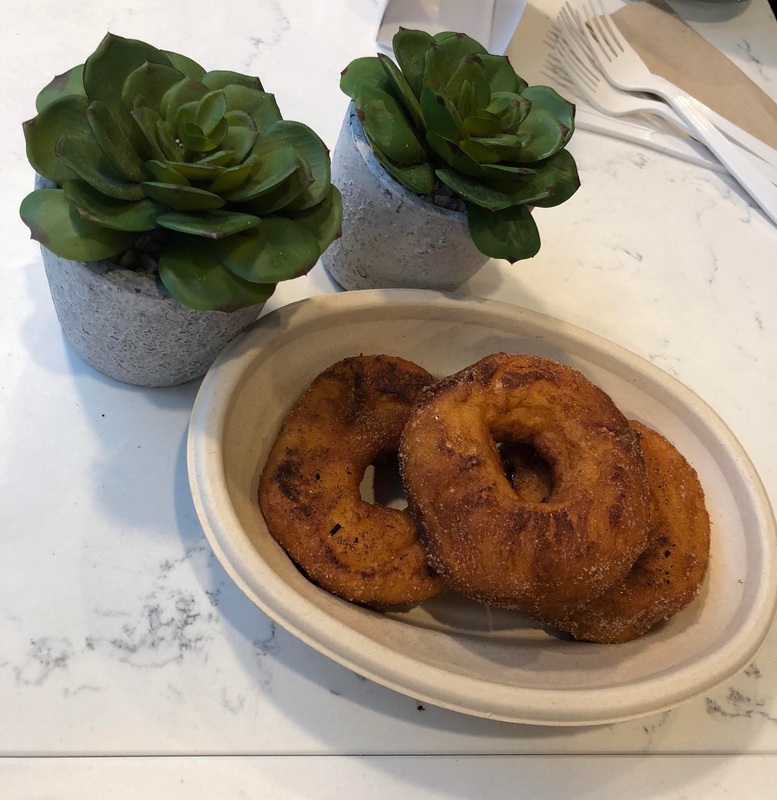 Another one of our favs...gluten free donuts!!! Here is a sampling of the salads you can order!! These juices are delicious too and much easier than blending them at home!!! Here is where I stock up..the ready made section is out of this world!! !